Do You Have A Product Recommendation? Naming the site so that it represented our values took many iterations. Part of the process involved feedback from present customers. We queried them regarding what words conveyed the essence of our products and the business. This feedback introduced us to a word we had not considered. 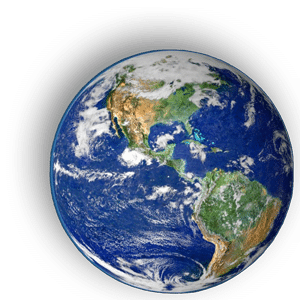 “Easy” – Our customers told us that the ease of use (the effective cleaning results and the time they saved) was a major characteristic of our products and a primary reason for their purchase. “Eco” (Green) describes the significance of ecological, environmental responsibility. 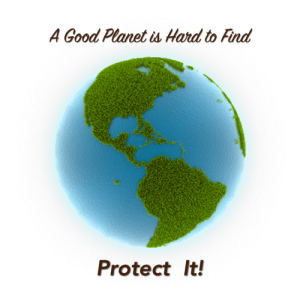 Our products must have value in reducing or eliminating negative impacts to our environment. “Clean” describes the superior result that our customers can expect from each of our products. One of the joys of shopping at a local food co-op is the selection. A limited selection; but, a selection of goods based upon criteria that match a particular value system. That’s what EasyEcoClean.com is about. We offer you a selection of cleaning supplies that meet very demanding standards. We conduct extensive searches for cleaning products so you don’t have to. If our standards coincide with what you want from your cleaning supplies then please consider EasyEcoClean for your cleaning products purchases. lower our cost for cleaning. then tested to ensure they meet our stringent criteria. bookmark our site and tell us about yourself (see menu). The products that we have selected for you on EasyEcoClean.com are the result of the equipment needs of a service: a commercial cleaning service that specialized in restrooms. Restrooms in businesses are very exceptional places. Cleaning them requires equipment that is not only durable but also scaled to a size that allows optimal performance when working in a small space. Janitorial supply houses offered durable equipment but of a scale that made it difficult, and sometimes impossible, to use in a space as small as a restroom. Household supplies were of the right scale but lacked quality, performance, and longevity; they did not hold up to the rigor of commercial cleaning. The lack of easily attainable products meant that there was an on-going search for just the right equipment. The need for equipment, coupled with the service’s stance that “green cleaning” is not an alternative (as touted by other cleaning services): but; a way of operating, led to the discovery of many environmentally responsible cleaning products. 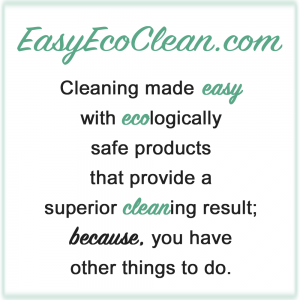 The products that made it through this selection process became the foundation of EasyEcoClean.com.